Tess Parks and Anton Newcombe will release their second full-length album on 12th October 2018. The 9-track eponymous album was recorded in Anton Newcombe’s Cobra Studios in Berlin last year and was mostly co-written by the duo. The lead track ‘ Right On’ perfectly showcases the complementary mix of Tess and Anton’s musicianship and style. The pair first collaborated in 2015 on the album ‘I Declare Nothing’, which saw NME call Tess’ smoky, smouldering vocals ‘particularly impressive’, while UNCUT compared them to a ‘darker, edgier Hope Sandoval’. 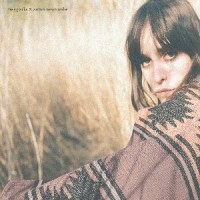 Barry says: Another brilliant outing from Tess Parks & Anton of Brian Jonestown Massacre, with the head-nodding psychedelic chug of the latter being beautifully accentuated by the lysergic, drifting vocals of the former. A stunning continuation of their already mindblowing first LP, but much more refined and focused. Brilliant.